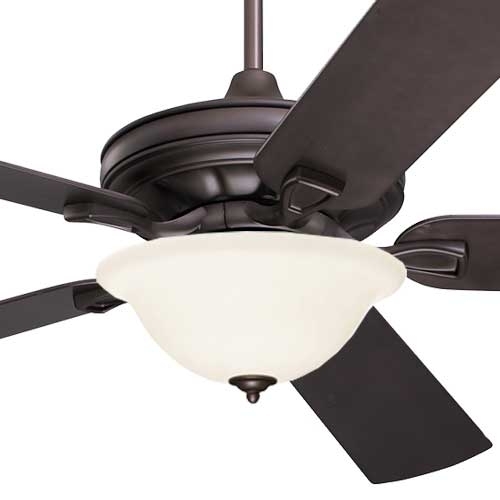 Our Bella Craftsman Fan with Frosted Glass light is as elegant as it is functional. 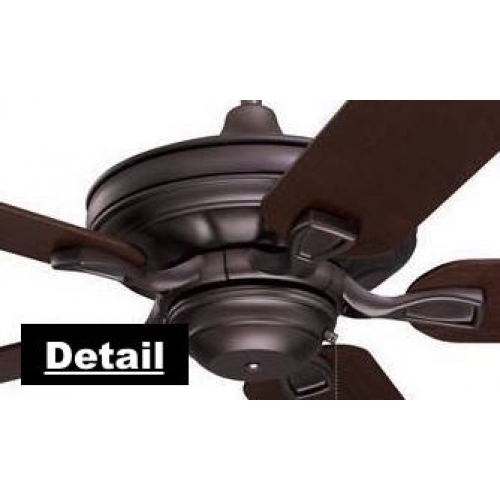 A high performance fan with a classic frosted glass light fixture, comes in a durable Oil Rubbed Bronze Finish with a Remote Control, 4 speeds, full range light dimmer, powerful motor with a Lifetime Warranty. Perfect for any room in your house. Here at Mission Bungalow we bring you only the Highest Quality Lighting, be it Tiffany or otherwise. We have 32 years of experience in the design, construction, crafting and packaging of Lighting, Fans and Stained Glass in particular. Every piece is personally assessed before it makes the cut and goes into our inventory or on our site, insuring exacting quality and a Lifetime Electrical Warranty. All of our Tiffany items use Hand Rolled Art Glass, individually cut, using the Copper Foiling method used by Tiffany Studio over 100 years ago. We have a saying here at Mission Bungalow. "We sell what we own and we own what we sell". Features: 52" Blade Span. Reversible Dark Mahogany and Walnut Blades. Frosted Glass Light (3) 60 Watt candelabra bulbs. 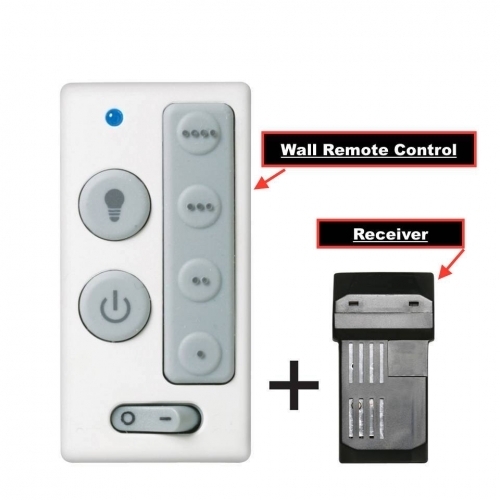 Wall Control with Reciever included. Lifetime Warranty. What You Need To Know. Emerson is an Engineering driven Company run by Engineers. Mission Bungalow is proud to have been involved with Emerson products for 33 years. We are Authorized Sales and Service for Emerson, the largest producer of fractional horsepower induction motors in the world. In fact, they still hold patents on the two primary methods of controlling fan speeds. Their motors have set the industry standard through the years, while our fan styling continues on the leading edge of design.